The Non Governmental Organisation Commission on the Status of Women (NGOCSW) consultation event is held every year parallel to the Annual Sessions of the United Nations Commission on the Status of Women (UNCSW) in New York. This year NOWSPAR participated in the NGOCSW Panel Session under the theme ‘Relational Aspects of Gender Equality in Sport, Male-Female Collaborative Advocacy’. This report presents a brief of the proceedings and outcomes of our participation. The United Nations Commission on the Status of Women (UNCSW) is a functional commission of the United Nations Economic and Social Council (ECOSOC), it is a global policy-making body dedicated exclusively to gender equality and the advancement of women. Every year, representatives of Member States gather at the United Nations Headquarters in New York to evaluate progress on gender equality, identify challenges, set global standards and formulate concrete policies to promote gender equality and advancement of women worldwide. The Non Governmental Organisation Commission on the Status of Women (NGOCSW) is the NGO platform that facilitates civil society input into the UNCSW Agenda and outcomes. Every year the NGO Committee on the Status of Women, NY organizes the NGO Consultation Day in preparation for the UN Commission on the Status of Women sessions that take place in February/March. In helping to bring together activists from around the world for two weeks at the United Nations, the NGO CSW, NY facilitates networking, sharing strategies and best practices, lobbying governments encouraging them to implement resolutions, treaties they have signed and to allocate necessary resources. 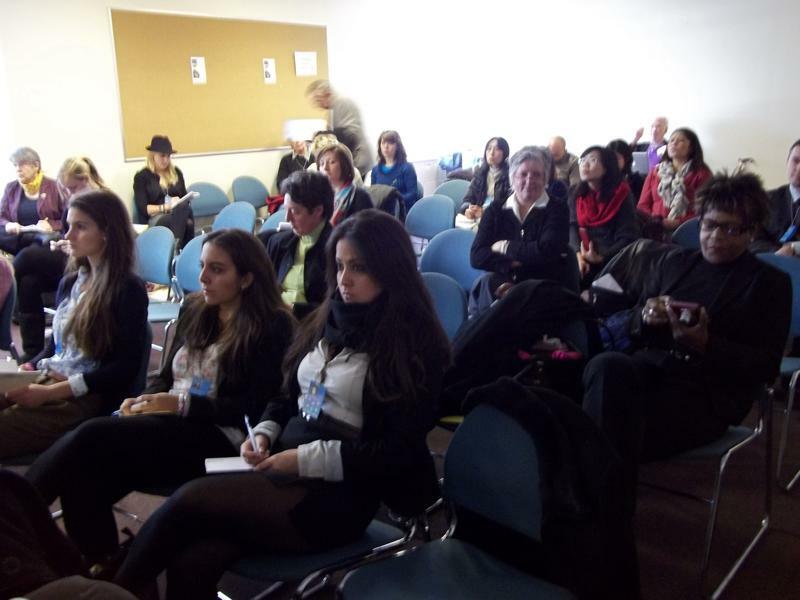 The NGO CSW Sessions were held in form of Parallel thematic panel discussions, caucuses and briefing sessions. NOWSPAR was represented by the Founder and Executive Director Ms. Matilda K. Mwaba and participated in the Panel Discussion in the Session ‘Relational Aspects of Gender Equality in Sport, Male-Female Collaborative Advocacy’ NOWSPAR participation was funded and coordinated by the Norwegian Olympic and Paralympics Committee and Confederation of Sport (NIF). 21st February, 2011: The Morning session started with a Consultative day and an official opening was attended by over 5000 delegates from over 300 countries. This was followed by Regional Caucuses designated by the United Nations and then the NGO Orientation on the CSW and UN for NGO’s conducted by the NGOCSW/NY. The Summary of the Roundtable on the CSW 55 priority Theme was “Access and participation of women and girls to education, training science and technology, including for the promotion of women’s equal access to full employment and decent work” The panelist presented from different vantage points – two reflecting on national development perspectives and the third “expanding Your Horizon Network, illustrating its approach to encouraging girls to be interested in and excel in Science Technology , Engineering and Mathematics (STEM) subjects. 22nd February 2011: The Panel Discussion on Sport was the main event that NOWSPAR participated in. The event was organized by the Women Sport International in Cooperation with the International Working Group on Women and Sport (IWG) and the Women’s Sports Foundation (WSF). The event was held on the 22nd February 2011 at the CCUN building on the 10th Floor at 10:00hours. 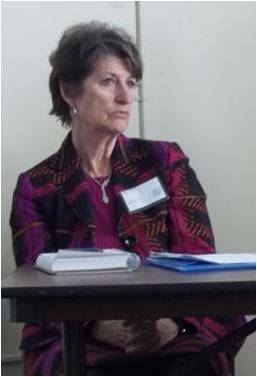 The Panel was chaired by Prof. Carole Oglesby, Ph.D A Scholar, author, teacher and consultant in sport psychology, she has served as the president of Women Sport International, a member of IWG and as a trustee of the Women’s Sports Foundation. A former sports director of the Finnish Ministry of Education and Culture, she also served as chair of the Committee for the Development of Sports (CDDs) Of the Council of Europe during 1996-1999. 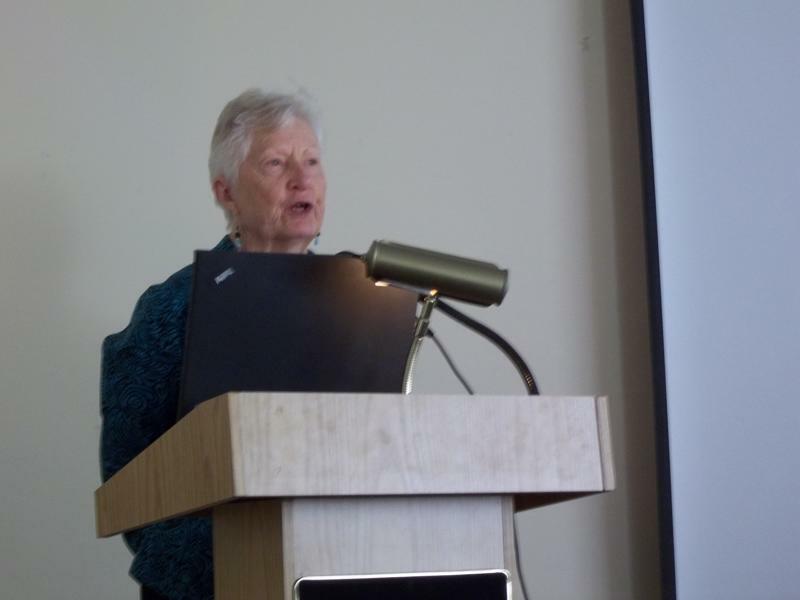 She now serves as IWG Co-Chair for 2010-2014 quadrennial term. 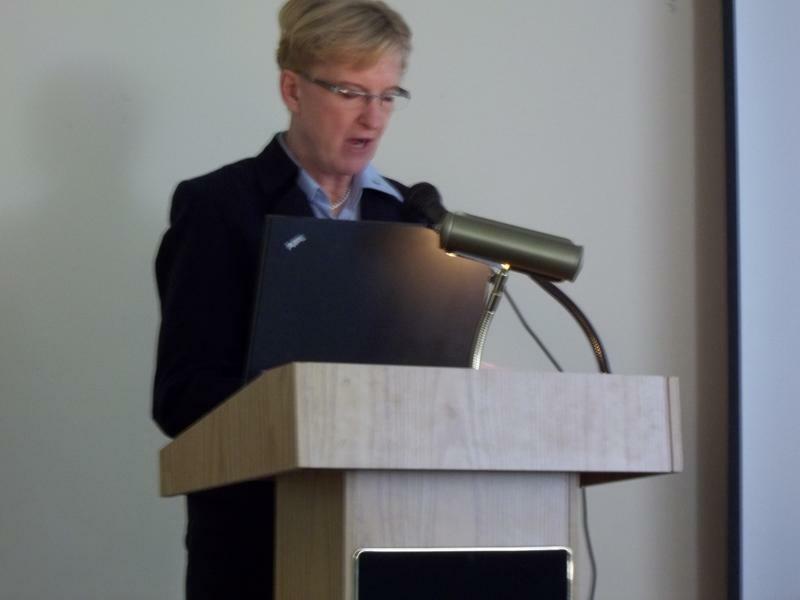 Topic: The Brighton Declaration – accelerating national policies on gender equality in sport, a case report from Finland. 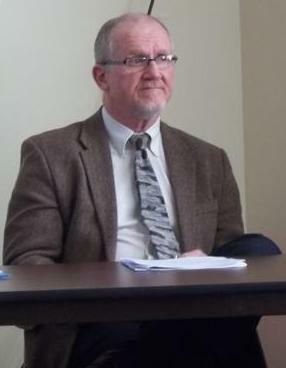 Professor of Health Policy D’Youville Collge, Baffalo, NY. Dr. Sabo founded and directs the centre of Research on Physical Activity, Sport and Health. He is an expert on gender relations, physical activity and health, gender equity in athletics, sports and masculinity, and men’s violence since 1980. Dr Sabo is a pioneer in the development of men’s health studies and applications of gender theory to better understand men. Founder and Executive Director of NOWSPAR – Zambia she is the first female president of the Zambia Judo Association and the International Kicking Aids Out Network. She has served on the National Olympic Committee and National Sports Council of Zambia. She was the Zambia Team Manager to the Commonwealth Games in Manchester and Chairperson of the Zambia Talent Identification and Capacity Development for the All Africa Games. Topic: Every Body Matters – Women and Men cooperating towards gender equality in sport. Professor and former rector, Norwegian School of Sport Sciences, Oslo Dr. Fasting is the former president of the International Association of sport Sociology and president of Women’s Sports International, and NGO that encourages increased opportunities and positive changes for the involvement of women in sport and physical activity. She also serves as an expert consultant on sexual harassment and abuse for the IOC and UNICEF. Topic: Sexual harassment and abuse in sport – the growing concern of the International Olympic Committee. 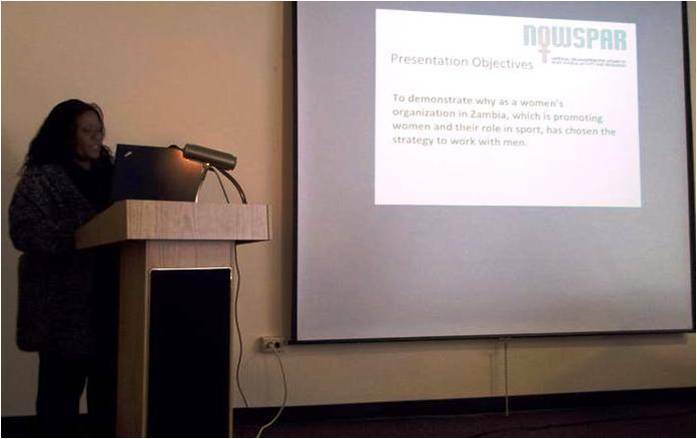 I was invited to present a paper that would share how NOWSPAR works with men and women in advocacy towards gender equality in sport. 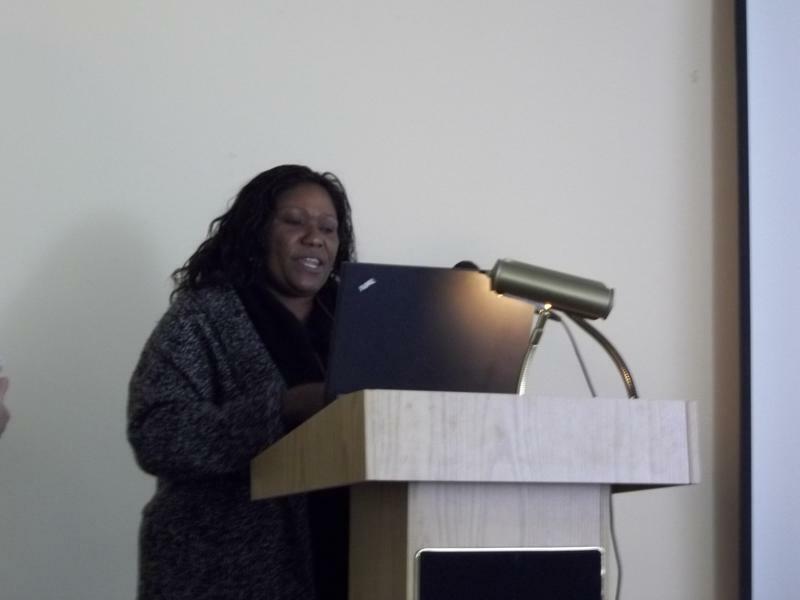 My presentation was to demonstrate how as a women’s organization in Zambia, which is promoting women and their role in sport, has chosen the strategy to work with men by discussing our advocacy project which uses this approach. The session was attended by about sixty people including activists, students, researchers, and bloggers and media personnel. The presentation was followed by a question and answer sessions, questions addressed at the panelists were relating to what type of programs we have that encourages girls who have experienced abuse in sport to remain in sport and not drop out, other questions were in connection with safety and information disclosure on scientific evidence of the negative impact of repeated hard impacts on athletes’ brains, other questions related the quota system and how men respond to such approaches. c. 22nd – 25th February 2011: There were more than 200 parallel sessions on various topics, I attended only seven session due to time and financial limitations, the sessions went on until 4th March while I left New York on 26th February. Organized by the Working Group on Girls – UNICEF, Girls Learn International Inc, and Girl Scout. Organized by the Canadian Crossroads International and YWCA in partnership with Abantu for Development in Africa. Development to explore how partnerships can expand capacity to mentor young women for leadership in public , along with international partners. The conversation was based on finding out what are we are doing to better integrate the intersection of violence against women (VAW) and HIV in the global and nation HIV responses and discuss proposals for making this happen. The interactive panel reflected on recent events such as the creation of the new UN gender entity UN Women to the November G20 Summit in Seoul which impact upon women’s advancement, development and the MDGs. These events challenge us to re-examine our approaches and to reformulate our strategies to include collective action. This was an open discussion to review of the CSW’s agreed conclusions for the education of women and girls, and the psychological evidence supporting them. The meeting explored further additional initiatives, Action steps for psychologists affiliated with NGOs at the UN and Networking. Topic: Are we doing enough for girls? Hear it from the girls themselves – are we doing enough for them? This session looked at current initiatives and progress made so far. Local media: interviews were aired on national radio, television sport shows as well as on the sport section of the 7pm news on National television. Internet Platforms: the event details were published on our websites, social networks and blogs and notices emailed to our networks. Correspondence: we sent out letters informing our partners of our participation in the event. Letters were sent to the Ministry of Sport Youth and Child Development, Gender in Development Division and the Non-Governmental Organisation Coordinating Committee. • NOWSPAR has been invited to make another presentation at the 2012 pre Olympic Session to be held in Scotland during the Olympic Games. • There has been increased traffic to our website and also requests for information and possible collaborations. • The demand for our brochures and organisation information material was greater than the amount we had carried. The NGO CSW facilitated our representation and input into high level advocacy for gender equality in Sport. 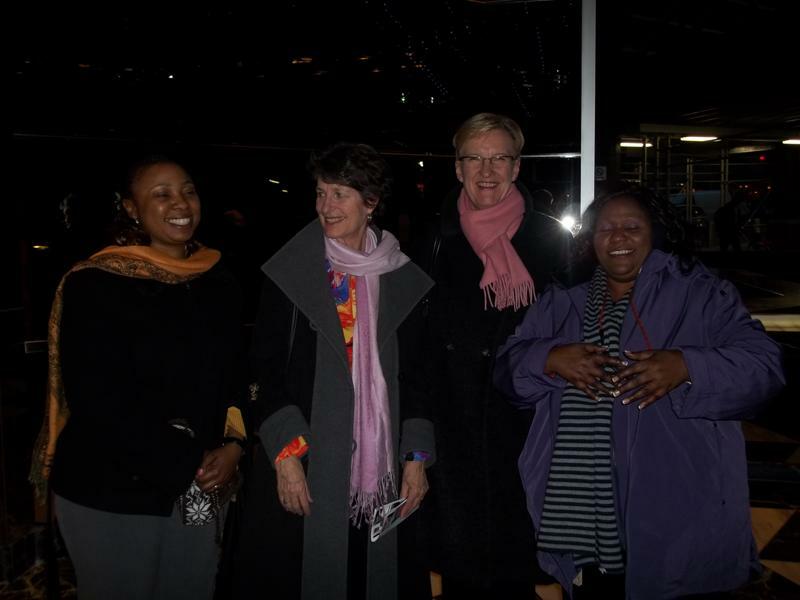 It was also a strategic place for us to network and learn from other members of civil society. We remain indebted to NIF for their continued invaluable support for our organisation development and growth; to my fellow panelists for the cooperation and support during this event and for the new relationships that have been forged.